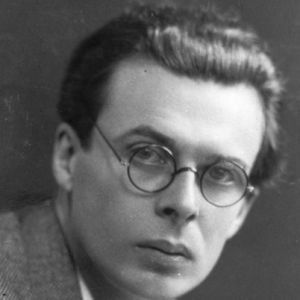 It is the anniversary of the birth of British novelist Aldous Huxley, best known for his dystopian novel Brave New World. He was a prolific writer and published many poems, short stories, essays, film adaptations and scripts. Check out Somaweb.org, a compilation of links about Huxley and his philosophy, ideas, works and politics as well as all things Brave New Worldish. Fascinating site which will keep you busy following rabbit trails for days. "To-morrow," he would add, smiling at them with a slightly menacing geniality, "you'll be settling down to serious work. You won't have time for generalities. Meanwhile …"
Meanwhile, it was a privilege. Straight from the horse's mouth into the notebook. The boys scribbled like mad. Tall and rather thin but upright, the Director advanced into the room. He had a long chin and big rather prominent teeth, just covered, when he was not talking, by his full, floridly curved lips. Old, young? Thirty? Fifty? Fifty-five? It was hard to say. And anyhow the question didn't arise; in this year of stability, A. F. 632, it didn't occur to you to ask it. "I shall begin at the beginning," said the D.H.C. and the more zealous students recorded his intention in their notebooks: Begin at the beginning. "These," he waved his hand, "are the incubators." And opening an insulated door he showed them racks upon racks of numbered test-tubes. "The week's supply of ova. Kept," he explained, "at blood heat; whereas the male gametes," and here he opened another door, "they have to be kept at thirty-five instead of thirty-seven. Full blood heat sterilizes." Rams wrapped in theremogene beget no lambs. "Bokanovsky's Process," repeated the Director, and the students underlined the words in their little notebooks. He pointed. On a very slowly moving band a rack-full of test-tubes was entering a large metal box, another, rack-full was emerging. Machinery faintly purred. It took eight minutes for the tubes to go through, he told them. Eight minutes of hard X-rays being about as much as an egg can stand. A few died; of the rest, the least susceptible divided into two; most put out four buds; some eight; all were returned to the incubators, where the buds began to develop; then, after two days, were suddenly chilled, chilled and checked. Two, four, eight, the buds in their turn budded; and having budded were dosed almost to death with alcohol; consequently burgeoned again and having budded–bud out of bud out of bud–were thereafter–further arrest being generally fatal–left to develop in peace. By which time the original egg was in a fair way to becoming anything from eight to ninety-six embryos– a prodigious improvement, you will agree, on nature. Identical twins–but not in piddling twos and threes as in the old viviparous days, when an egg would sometimes accidentally divide; actually by dozens, by scores at a time. "Scores," the Director repeated and flung out his arms, as though he were distributing largesse. "Scores." "My good boy!" The Director wheeled sharply round on him. "Can't you see? Can't you see?" He raised a hand; his expression was solemn. "Bokanovsky's Process is one of the major instruments of social stability!" "Ninety-six identical twins working ninety-six identical machines!" The voice was almost tremulous with enthusiasm. "You really know where you are. For the first time in history." He quoted the planetary motto. "Community, Identity, Stability." Grand words. "If we could bokanovskify indefinitely the whole problem would be solved." "But, alas," the Director shook his head, "we can't bokanovskify indefinitely." Ninety-six seemed to be the limit; seventy-two a good average. From the same ovary and with gametes of the same male to manufacture as many batches of identical twins as possible–that was the best (sadly a second best) that they could do. And even that was difficult. "For in nature it takes thirty years for two hundred eggs to reach maturity. But our business is to stabilize the population at this moment, here and now. Dribbling out twins over a quarter of a century–what would be the use of that?" 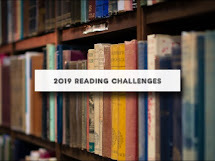 Managed three books this week, 'Some Tame Gazelle' and 'Jane and Prudence' by Barbara Pym - lovely, gentle humour, written in 1950s but still relevant today. Also read 'The Third Wife' by Lisa Jewell.